Several health and beauty manufacturers are giving their packaging a green makeover. NeoCell’s product line is now packaged in 100% post-consumer recycled (PCR) plastic bottles. The natural supplement and skin care supplier implemented this change across its entire line of products. “We wanted to be in line with the green direction our retailers were going and to provide our consumers with a more environmentally conscious choice,” Sarah Quadri, head of NeoCell’s research and development department, told PlasticsToday. All American Container is supplying the PCR packaging. NeoCell products are designed to promote health, beauty, and anti-aging. 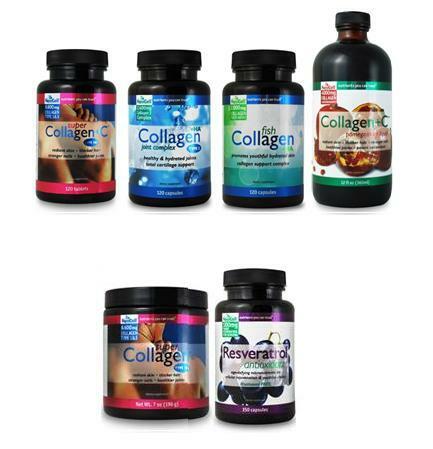 The company’s product line includes super collagen+c, collagen type 2, pomegranate from the seed, and resveratrol antioxidant. To work with the recycled resin, Quadri said the company had to make tweaks to the label size on the bottles. Being more socially and environmentally aware is a long-term goal for NeoCell, she said. The company’s next endeavor is working on sustainable alternatives to label materials. LF of America Corp., a member of The Lameplast Group of Italy, recently announced it developed a new multi-layer unit-dose packaging for the health and beauty industry. After several years of research, the R&D labs of The Lameplast Group developed this packaging using plastics (including PE and PP polymers) in the various layers, which also includes the option of using layers with recycled plastic materials. “This multi-layer unit-dose opens interesting new opportunities for displaying and protecting cosmetics and pharmaceutical products,” the company stated. Unlike conventional single-layer plastic containers, the new multi-layer packs have an outer layer, a middle EVOH layer, and an inner layer that is in contact with the cosmetic or pharmaceutical product, the company said. Each layer may be chosen based on specific marketing requirements including the increase of barrier properties to improve unit-dose compressibility, the design to reduce environmental impact, or to play with colors without interfering with the contents.